I can't believe that we have almost reached the end of January already! January is such an odd month as everyone is trying to readjust after the time altering period in-between Christmas, new year and starting work again. Anyway, today's post is all about the products I've been loving throughout the gloomiest month of the year, from new beauty items to health and dental products. Let's start with the products that I've been using the most throughout January and also the end of December! I was very kindly sent a couple of bottle of mouthwash from Dentyl just before Christmas and I've been using them since. I should definitely spend more time on my gum health and teeth in general but it's an area I seem to neglect a little (perheps from being terrified of anything dental related from childhood dentist visits which still haunt me). However, a product that is very quick, easy and fuss free to use but that can help reduce plague, protect enamel and help combat cavities is a good mouthwash. 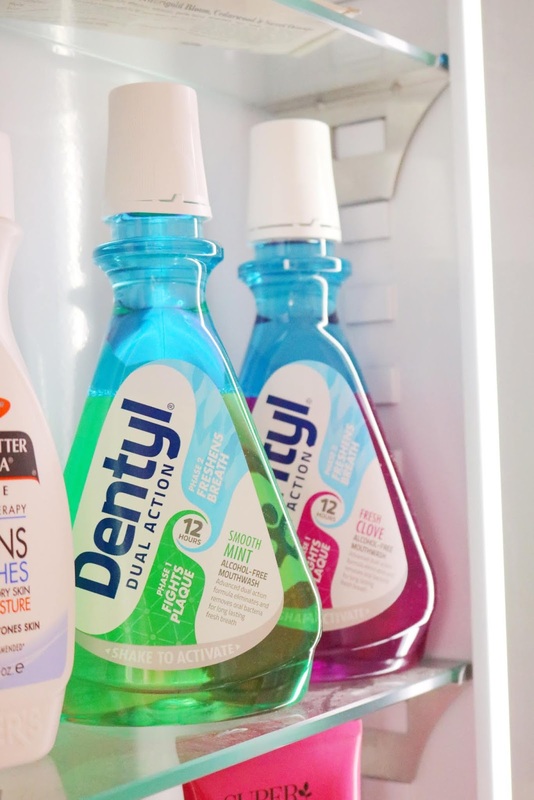 Dentyl is a brand I've tried a couple of times over the years and it's one I always go back to as it's alcohol free so it doesn't string or burn in the way that most other mouthwash options do. I've been using the 'smooth mint' and 'fresh clove' variations since just before christmas and while I like both, my favourite has to the 'fresh clove' flavour as it is very mild and gentle - I have sensitive teeth/gems and almost very single mouthwash I've tried has burned in some way but thankfully neither of these do. I cannot recommend them enough! Along with the Dentyl Fresh Clove Mouthwash, another item I've been using everyday since a couple of days before Christmas is the amazing Freshly Hand and Nail Treatment. It isn't a thick cream as I thought it would be but a lightweight lotion with a pump dispenser so it's very quick, easy and mess free to use. I've been keeping it on my desk for weeks and it has helped reduce the dryness and tightness of my hands so far this winter! Freshly is a brand that was new to me in 2018 and it very quickly became one of my favourites as it's natural, vegan and their products are all fantastic, including this gorgeous hand and nail treatment. The treatment, unlike other products of this kind, isn't greasy, heavy or slow to absorb so I can continue to work without worrying about getting hand cream on the keyboard. 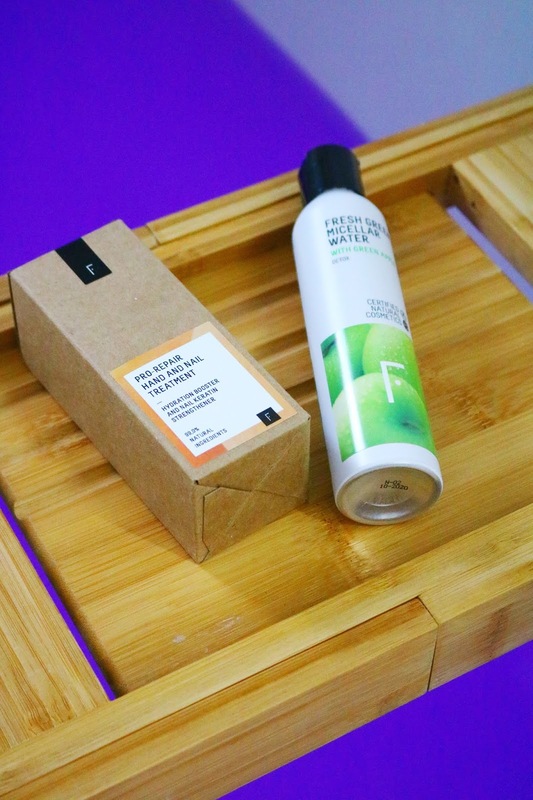 Another Freshly product I've been using consistently, although not as much as the hand cream, is the micellar water which contains green apple, organic Aloe Vera water and cucumber extract, among other lovely natural ingredients. I used to use micellar waters constantly a few years ago but I've switched back to makeup removers in the form of cleansers and my 'makeup eraser' towels instead. However, micellar waters are such a quick, easy way to remove makeup before cleansing and they're great for travelling too. I'd definitely recommend this one (and all of the Freshly skincare products I've tried) as it doesn't irritate my dry, sensitive skin. Now for my final favourites, I'm including a couple of products that I've been using for the past week or so and typically I wouldn't include items without having used them for a few weeks but I've been so impressed by both of these serums recently! I've been using them every single day since I received them and they have helped my skin go from dry, flaky and uncomfortable to smooth, soft and moisturised. Both serums come colourfully packaged with an easy to use pipette dispenser and a lovely scent! The day serum has a fresh, almost minty scent to it which I love! It feels moisturising and nourishing on the skin but it doesn't ever feel greasy, heavy or tacky which some facial oils and serums can be. It's perfect for underneath makeup, unless you use too much, as it protects the skin against pollution, blue light and it has just the right amount of moisture. My favourite of the two though is the night serum as it's a little richer with a slightly floral and citrusy scent to me but it's very subtle so if you are sensitive to scented products then I don't think either of these will be too much for you. The night serum contains jojoba oil and it claims to provide anti-redness protection which is ideal for me as I do suffer with eczema and the redness that goes along with it. Since the weather has turned very wintery here in Manchester (we've had snow all of yesterday), these serums have been miracle workers for my skin and without them both, I think my skin over the past week or so would have been a dry, flaky and irritated mess! If you do have sensitive and or very dry skin then I think that both of these serums would work very well for you as they have done for me. I'm sure you'll see these products again on my blog as part of my winter favourites post which will be live at end of March. I haven't tried any of these but they look great! I haven't tried any of these but the night serum sounds very interesting. I think I am going to have to try some of these out! I am also enjoying Dentyl, its also so much fun to shake it up! I absolutely adore freshly! Their products are amazing! The Freshly products do so good, I’d love to try them. I've tried the mouthwash before and loved but haven't tried the rest! 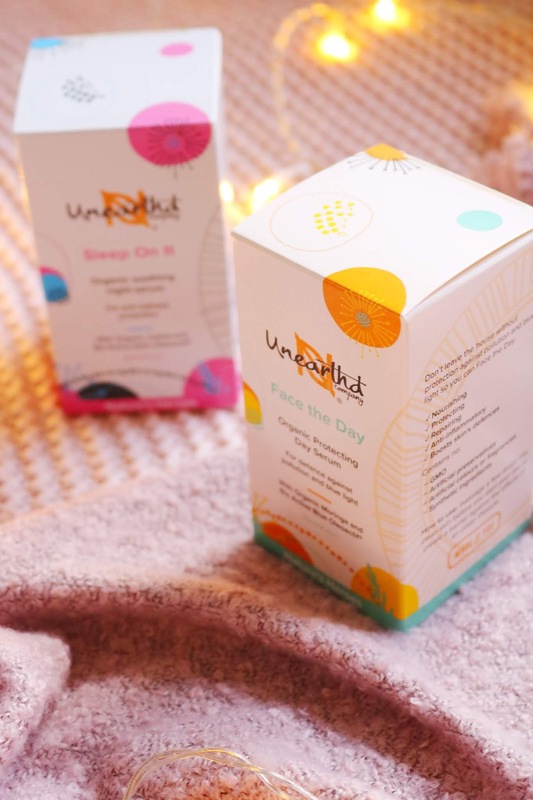 Really intrigued by the Unearthed range so might have to treat myself to a product at some point. I love skin care this time of year too. I have to look into some of these products.